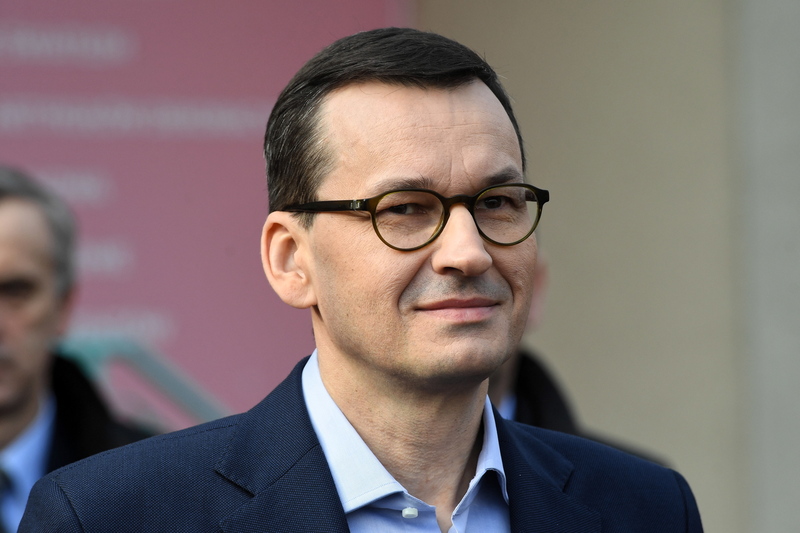 Mateusz Morawiecki, the prime minister, has attacked Israel Katz, the Israeli foreign minister, over his comments suggesting Poles were anti-Semitic, and said that it was these words that had made him cancel Poland’s participation in a Visegrad Group meeting this week in Israel. "I have no problem with someone mentioning the fact that during the cruel, evil, dehumanizing war there were individual criminals in my nation - obviously there were, just as in every other nation,” Morawiecki said in the interview, which carried the title ‘Polish Prime Minister to Haaretz: Tens of Thousands of Poles Aided Jews. We Won't Give in to Lies’. “But when you use these stereotypes that 'every Pole suckled anti-Semitism out of their mother's breast' it's nothing short of racism," he added in reference to Mr Katz’s controversial comments. Morawiecki pointed out that when he first heard of this, it seemed totally "unbelievable" to him. "Such words could be used by a radical extremist, but not by a foreign minister," he said. But he said there is no significant crisis in Polish-Israeli relations. "I understand that in the course of an electoral campaign some politicians want to make headlines," the PM said, adding that the Polish government is one of the most pro-Israeli in the EU and the UN, and the V4 summit in Jerusalem was to have been another step in building friendship between Poland and Israel. "Poland is one of the few countries in the EU where the number of anti-Semitic incidents is decreasing, while in many others we are witnessing worrying developments," Morawiecki said, citing the recent report of the European Fundamental Rights Agency. 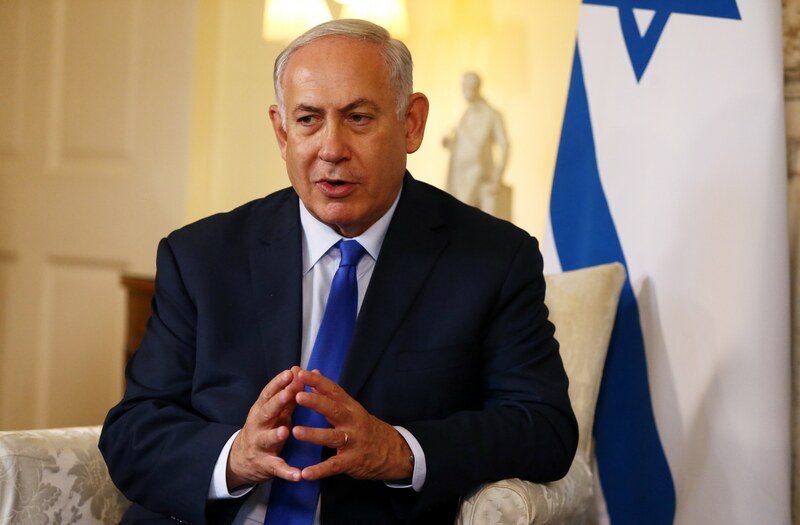 Morawiecki pointed out that he had spoken with Benyamin Netanyahu about a speech in which it appeared the Israeli prime minister blamed the Polish nation for collaboration with the Nazis. According to the Polish prime minister, Netanyahu told him that "his words were misinterpreted by journalists." Despite being pleased by Netanyahu's explanation, Morawiecki said the delay in an Israeli response "was not well-received in Poland." “Collaboration with (Nazi - PAP) Germany was never an official position of the Polish State,” he said in the interview. “The wartime Underground Polish State prosecuted all those who were denouncing Jews, sentenced them to death and executed them, even during the war." He also stressed that occupied Poland was the only country in which a person helping Jews faced the death penalty at the hand of Germans. Despite that, "tens of thousands of Poles, perhaps even more, were helping their Jewish brethren," Morawiecki added. "We share a common history. Our nations were both victims of Nazi Germany. We should not allow some radicals to rewrite history and destroy the memory of that," the prime minister stated. "I believe that we still need to educate people across the world, especially younger generations, in all aspects of history,” he continued. “Of heroes and criminals alike. And about who was responsible for orchestrating these crimes." Haaretz said that historians are divided about this narrative, and mentioned the criticism issued by a number of top Holocaust scholars from Yad Vashem, who believe that the Polish government is deliberately downplaying the Polish role in Nazi crimes and disproportionately emphasising the actions by some Poles who helped Jews during the Holocaust. Morawiecki refuses to accept such charges. "Poland is no longer afraid,” he said. “We experienced a terrible war and decades of occupations. But now Poland will no longer give in to a pressure to accept lies, misleading phrases, let alone racist insults." "We are open to truth, even the most difficult truth about individual collaborators - but we will never agree to stretch their personal responsibility to the whole nation," Morawiecki stressed.